The third Northern Cluster Meeting was superbly hosted by the Constantine Lodge of Mark Masters, No. 145 on Tuesday, 21st November. Constantine Lodge is, as it frequently reminds everyone, older than the Province of Essex and is, rightly titled as a Lodge of Mark Masters. Recognising that Lodges in the north of the County are often significantly far apart, the Cluster Meetings form an initiative to encourage and enable them to meet together in a larger number and to have the PGM and his team present. 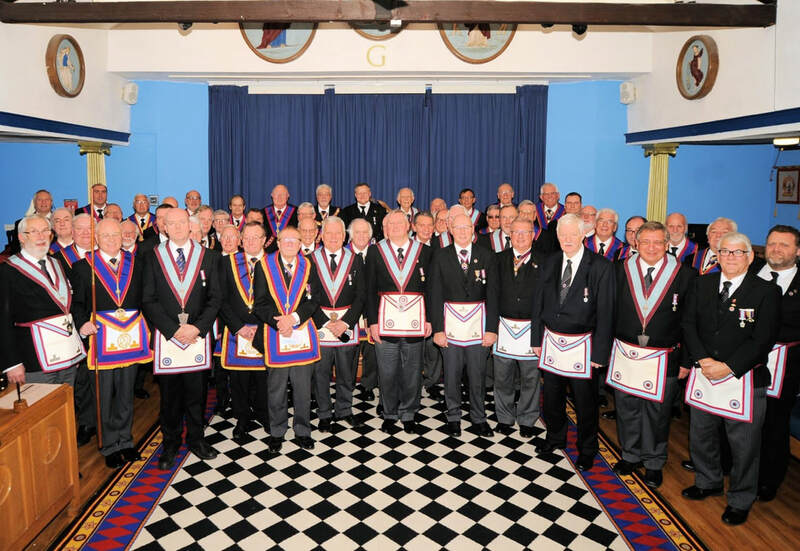 There were as ever, a significant number of Mark Master Masons from other Lodges in north Essex. Although there were a few last minute changes in Officers owing to unavoidable circumstances, a fine, and distinctive Advancement was carried out by all involved. V.W. Bro. Alf Garner, as Master belied his years and performed wonderfully from the Chair. Paul Masters, the Candidate, was suitable impressed and will, we are sure, be an asset to Constantine Mark and the Province. The Provincial Grand Master was in attendance, along with a significant number of Acting Officers, and took the opportunity, as is his custom, to take the Chair for a short while to briefly introduce his Acting officers and to address the brethren in general. He was delighted to receive a generous donation from Constantine which will be given to the Essex Mark Welfare Fund and will be used to help fund this years charitable efforts. He concluded his visit with his usual lively, informal question and answer session where he answered a number of matters raised. All the brethren eventually retired to an excellent festive board before parting in peace and harmony.